Welcome to the iron heart of the Ruhrarea! One of the most energetic battles in robotic combat awaits us! Here in the old steelworks the air crackles in time with the lightning barriers and High Voltage fields. The the robots light up like stobe lights, while their circuits pop through with loud bangs. 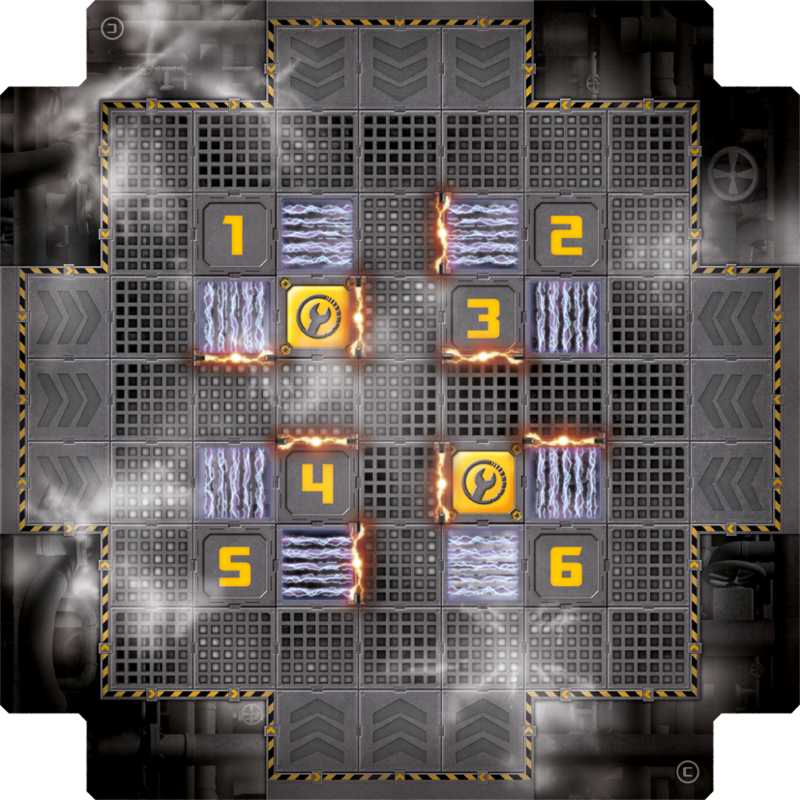 Up until this point, only one operator has managed to modify his robot in a way so it is immune to the horrors of this arena. Here he rolls up, the multiple champion of our arena! With a thunderous applause, greet our local hero, the REAPER!!! 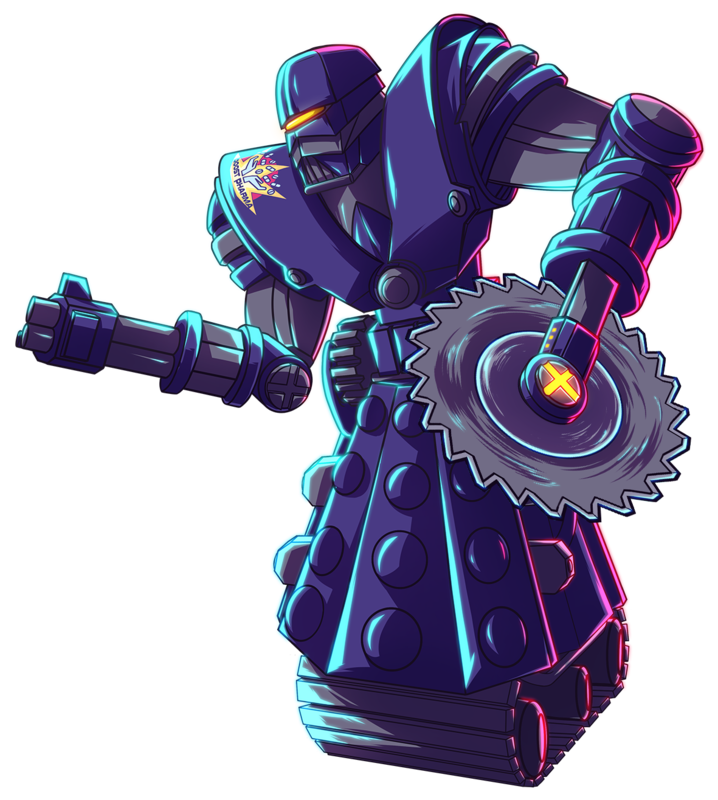 Not only is he resistant to the electricity traps in the arena, but to the horror of his opponents, he is able to redirect the devastating effects as a conduit to nearby robots! No wonder he is the current poster-boy for Boost Pharma, as he embodies their slogan like no other: Harder, Fitter, Faster, Stronger. Today in particular we expect nothing less than an outstanding victory from the Reaper. But perhaps another robot will prove to be even harder, even fitter, even faster, and even stronger? Let’s find out!